Celebrate the beautiful and unique colors of each season! 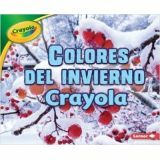 The Crayola® Seasons Book Set features vibrant photos and descriptive text to encourage readers to notice the colors around them. 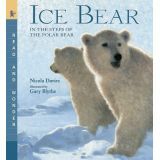 Each book contains simple illustrations that model various art techniques. 24 pages per book. Fossil fuels are running out and destroying our environment. Never fear! There is an energy revolution afoot. Clean energy technology is getting cheaper, and jobs in these fields are growing. 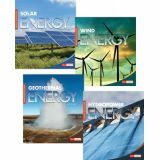 This series will introduce young readers to the science and engineering behind four of the most common sources of clean energy being used today: solar, wind, geothermal, and hydropower. Follow the flight of a honey bee as she searches for nectar to sustain her hive and, along the way, pollinates flowers to produce seeds and fruits. 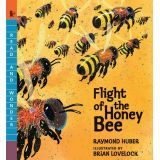 Nature lovers and scientists-to-be are invited to explore the fascinating life of a honey bee. Some places in the world are cold. Others are hot. Some lands are wet, and others are cold. 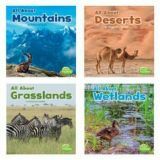 Learn about these habitats and the animals and plants that live there. 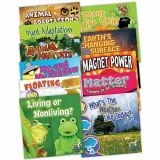 Each of these books gives safe, simple step-by-step instructions for a project that will help young readers understand science. 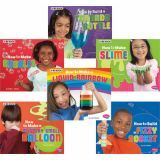 Learn how to make a fizzy rocket, a liquid rainbow, a tornado in a bottle, and much more with these easy and fun activities. Plus, readers can learn more with an augmented reading experience and reality video accessed through a free app. 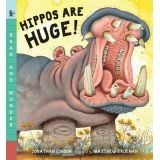 The deadliest animal in Africa isn't the lion or the crocodile — it's the hippopotamus! Hippos have razor-sharp tusks, weigh as much as fifty men, and can run twenty-five miles per hour. Follow these hefty hulks as they glide underwater, play tug-of-war, swat balls of dung at one another, and nuzzle their young in the mud. Just don't get too close — they could chomp you in two! 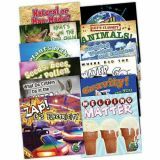 Young readers will definitely catch the bug when they see this enticing, fact-filled invitation to explore the world of insects. 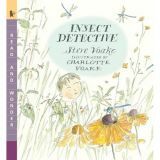 A Junior Library Guild Selection Right now, all around us, thousands of insects are doing strange and wonderful things: wasps are building nests, ants are collecting food, and dragonflies are readying for the hunt. But it's not always easy to catch sight of these six-legged creatures: you have to know where to look. 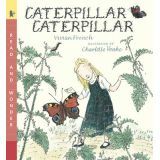 Guided by this book, readers will happily become insect detectives and find out just what those bugs are up to. Have you ever wondered about the science all around us? Plants grow and change, the sun rises to warm the Earth, and matter changes from one form to another. Investigate Life, Physical, Earth, and Technology science topics, all inked to NSTA standards. 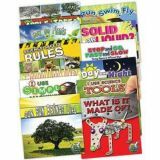 Each 24-page book includes before reading vocabulary and after reading activities. Gravity! Do You Feel It?